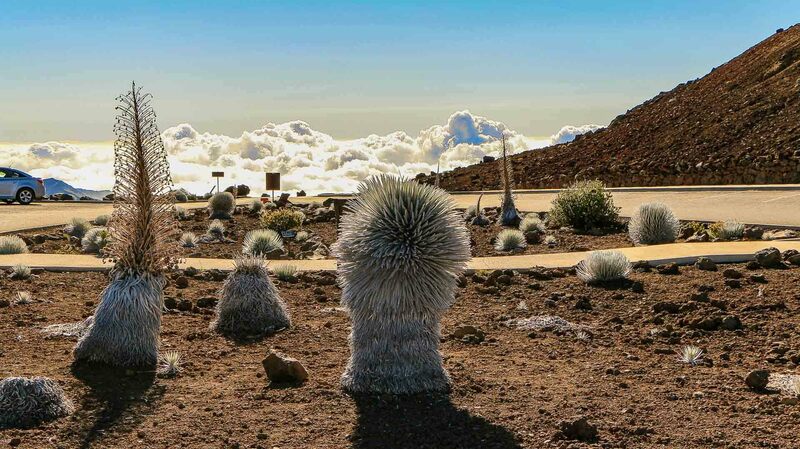 The volcanic landscape of Haleakala holds a lot more surprises than any visitor would believe. The area is filled with life, unique sounds and inspiring features in every life-zone… and there are a lot of them. 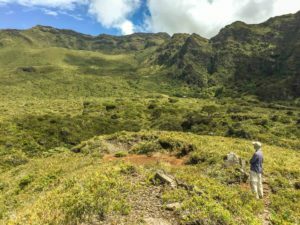 A journey around this magnificent mountain or up to it’s peak will bring you through multiple climate or life zones where unique flora and fauna exists, sometimes only here on Maui. Connect to the forces that developed this landscape, the ever-present wind and rain. 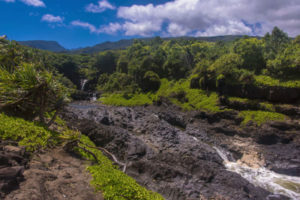 The tradewinds bring life giving rain and moisture in ways that forced mainland plant & animal species to evolve and adapt becoming their own unique species. Learn more about Haleakala National Park (House Of The Sun) or let an award winning tour company guide you through the highlights, history, culture and stories of the people, plants and animals that make up the park’s rich ecosystem. Each Haleakala visitor center has its own a unique focus, opening times and exhibits that change daily or seasonally. The Park Headquarters is your first stop after entering Haleakala National Park on the way to the summit. Restrooms, water, and interpretive displays are available. Permits for wilderness camping can also be obtained here. 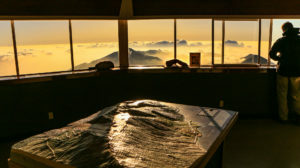 If you’re venturing to the mountain top, take a look inside the Summit building which holds a number of interpretive displays and a great 3D representation. You can also get some great gifts to support the National Park Service too. It is open from 7:30am to 3:30pm. It is located at 9,700’ elevation, overlooking the western rim the valley. On the Eastern side of Maui Hawaii, near the ocean is the Kipahulu Area of the park. 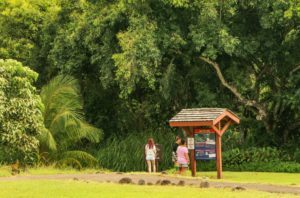 Here you can gain information about camping, hiking, and other activities around Hana. Rangers also regularly host Hawaiian cultural demonstrations. 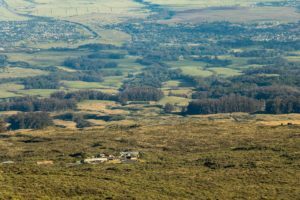 This area of the park includes a number of interesting features and points that make for good stops, especially for those that love geology and volcanoes. As a visitor don’t forget to take detailed photos as much of the plants and animals are quite rare. Be sure to always stay on the paths and don’t disturb or feed the nene. This is the highest point on Mauna Haleakala, and includes an enclosed observatory from where you can see the Big Island. 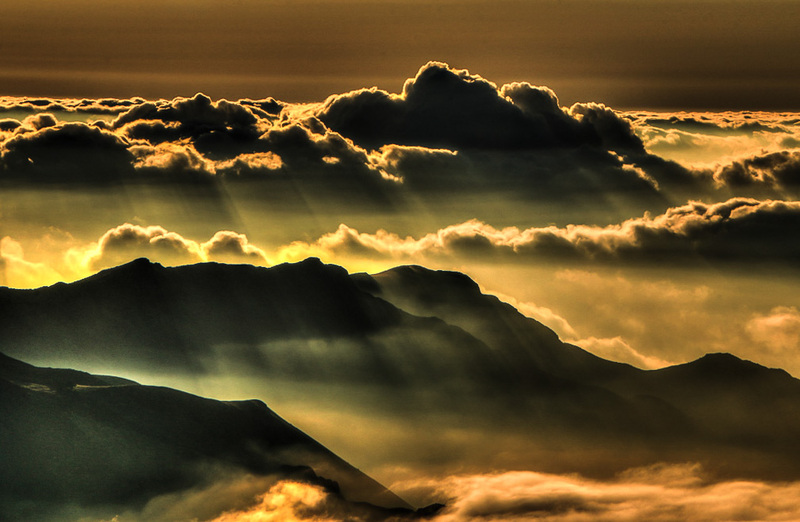 Though the view is not as dramatic as those on the valley cliffs, there are sweeping views from the peak of Puʻu ʻUlaʻula. 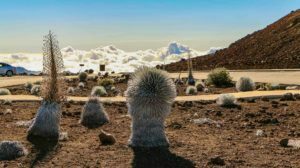 The stunning overlook at Pa Ka‘oao (White Hill) provides a 270 degree view of the valley below and the tallest peaks of the Big Island of Hawaii in the distance. Though slightly lower in elevation than Red Hill, the short hike to the top of White Hill provides more dramatic views into the valley and its cinder cone craters. 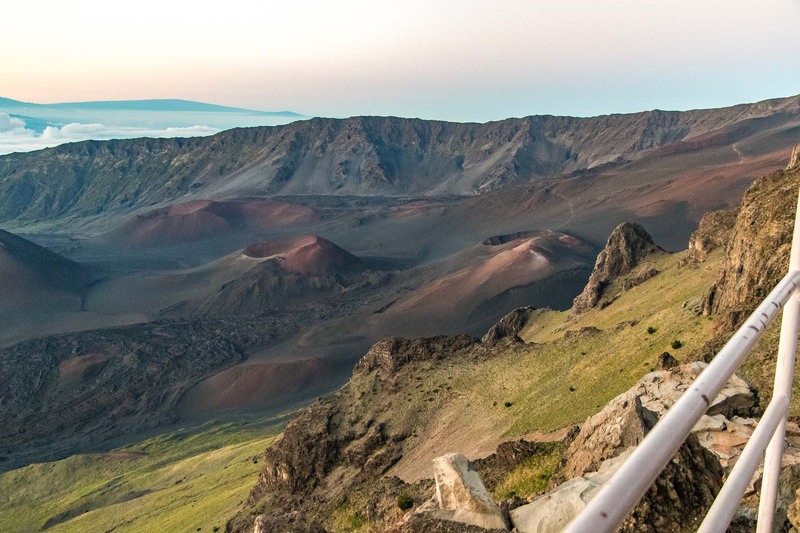 The best place to watch the sunrise with easy access to ‘Keoneheʻeheʻe Trail, White Hill, and provides incredible views of the cinder cone filled valley, from the high cliffs. It all makes the area around the summit building a popular location to take in the event. The weather at the top tends to be quite variable and is hard to predict with any certainty. For example, it could be sunny and bright at the coast, but overcast and rainy at 7000′, blocking the view of the clear skies above 9000′. 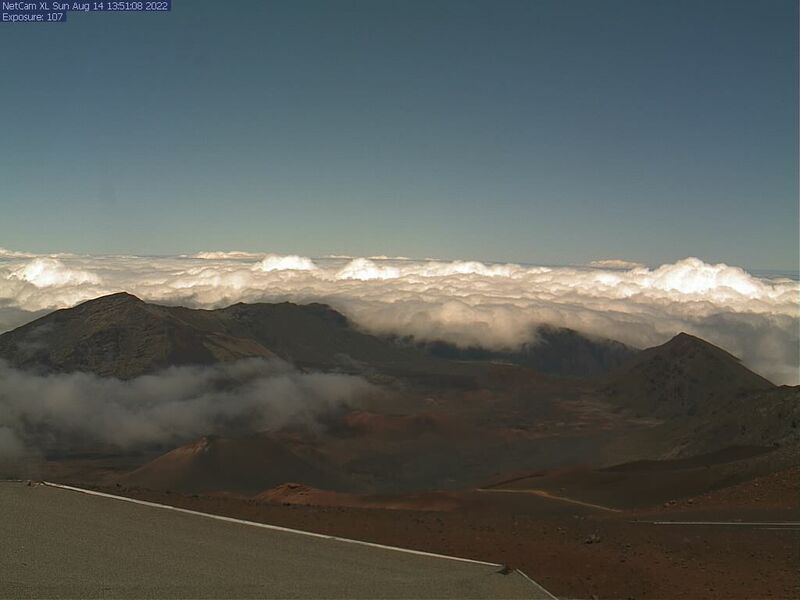 The webcam on the summit building shows just how quickly the weather can change throughout day. Before heading up the mountain, be prepared for rain, high winds, and cool temperatures. The Park has plenty of parking and multiple parking areas. 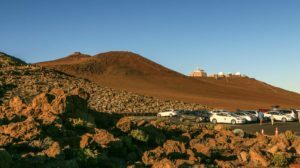 However, parking can be a challenge during sunrise and sunset, particularly at the Summit and Puʻu ʻUlaʻula (Red Hill) parking lots between the hours of 3am-7am. 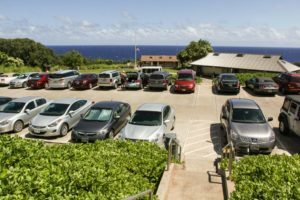 During sunset, the Puʻu ʻUlaʻula (Red Hill) parking lot is overflowing with vehicles, though on a much smaller scale than during sunrise. All parking lots are accessible to everyone, including those with disabilities and who require wheelchair assistance. Sliding Sands Trail & the short Pa Ka‘oao (White Hill Trail) are the two hiking trails available from the summit district. 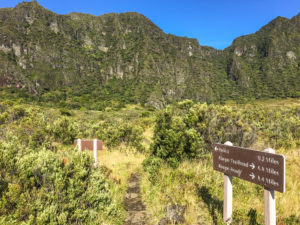 Sliding Sands Trail connects hikers to multiple cabins and can be followed all the way to Paliku cabins and campground (~8 miles one way). The White Hill Trail is a 0.6 mile out and back trail that climbs up to a scenic location. From the top of the White Hill Trail, hikers are treated to uniques views and perspectives of the crater-filled valley. Below the summit, hikers can access Halemau’u trail, Hosmer Grove Trails and Leleiwi Overlook Trail. 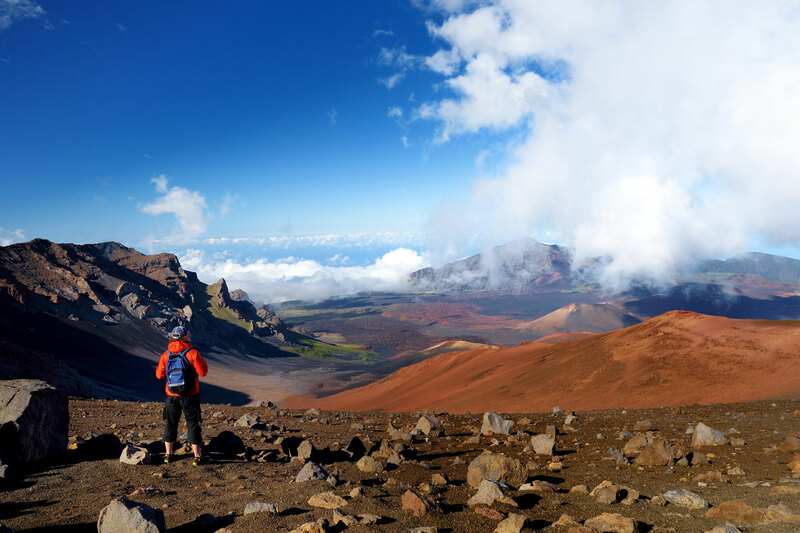 The best way to explore Haleakala National Park is with a guided tour, which includes hiking guides. 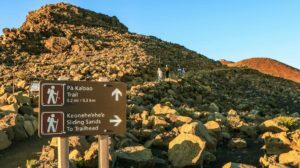 Distances, altitude, and the sun can have a more significant effect on hikers at this elevation, and being a part of a guided tour ensures safety and access to the most beautiful parts of the park. 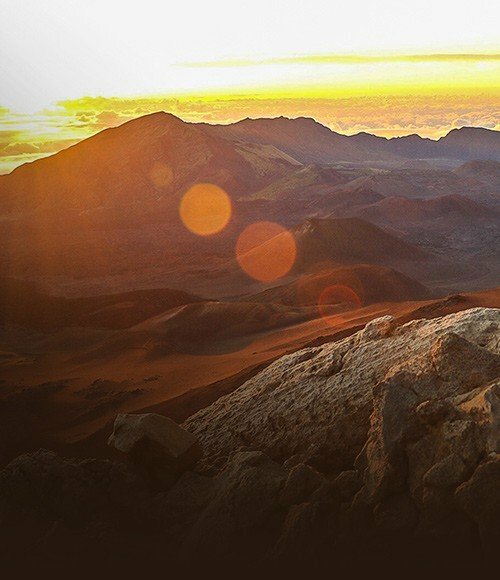 A guide will help you explore the uniqueness and sacredness of the mountain, and connect with the ‘aina (land). Here is a hiking map for your reference. 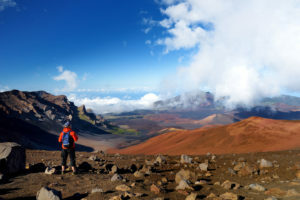 Backpacking to one of the wilderness campgrounds is a great way to experience Haleakala. 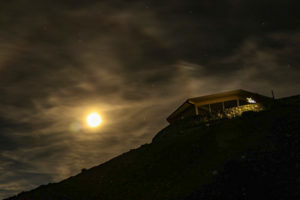 Paliku and Holua areas have basic cabins and camping sites. Both include water and out-houses. Cabins are in high demand and require reservations at least 6 months in advance. 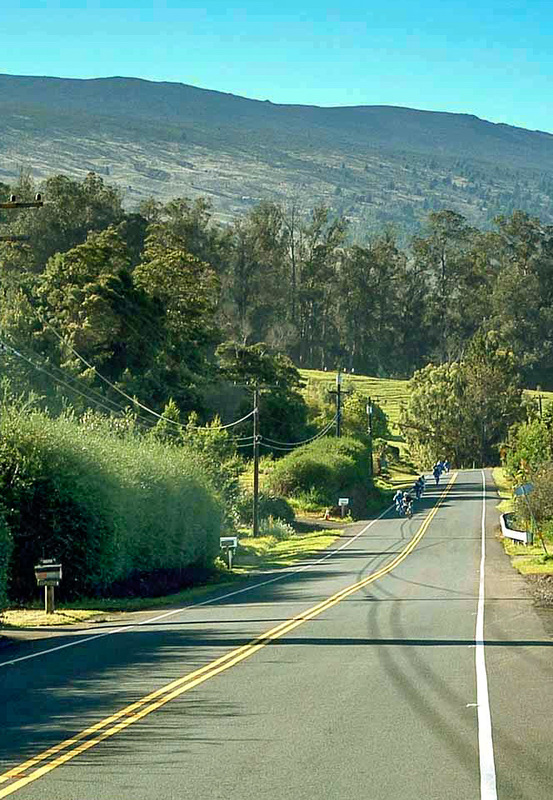 The “best tour” of Haleakala Maui depends on your preference. Due to this distance between the two sides of the Park, visitors are unable to visit both in a single day. East Maui and the Kipahulu section of the park boasts incredible, tropical beauty, while the summit offers raw and dramatic views of the volcano at the dramatic Kalahaku Overlook. 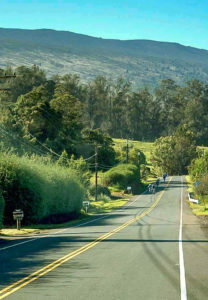 Both Kipahulu Area and the Summit District are equally amazing places to take a guided tour on Maui. 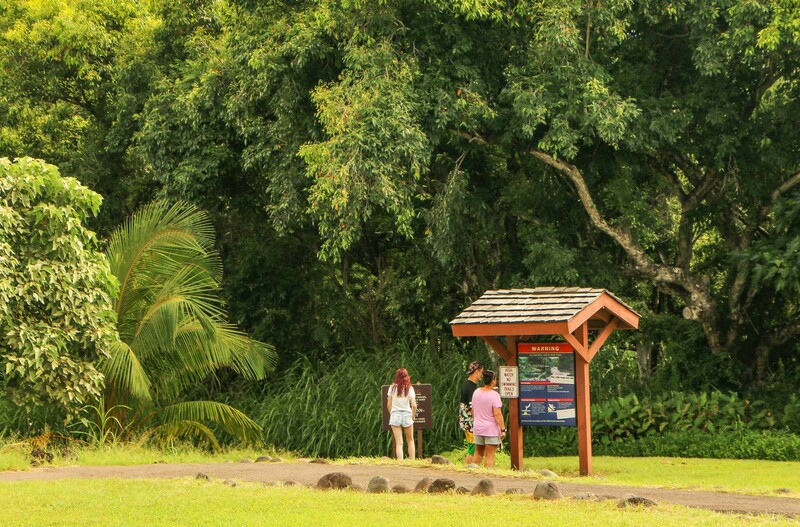 Take the road to Hana to the Kipahulu area of the park to see the beautiful Pools of Oheo. 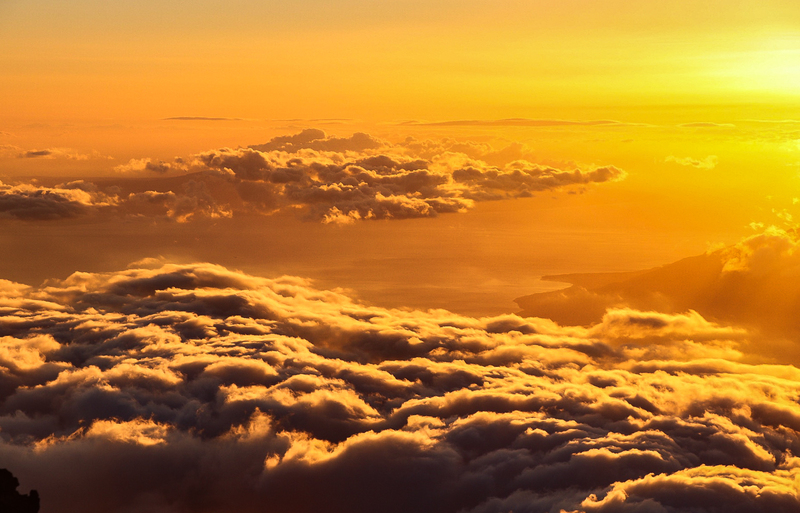 Just as incredible as sunrise, experience Maui’s most beautiful sunsets from atop Haleakala. View the dramatic sunrise from the best spot on Maui from the summit of Haleakala. 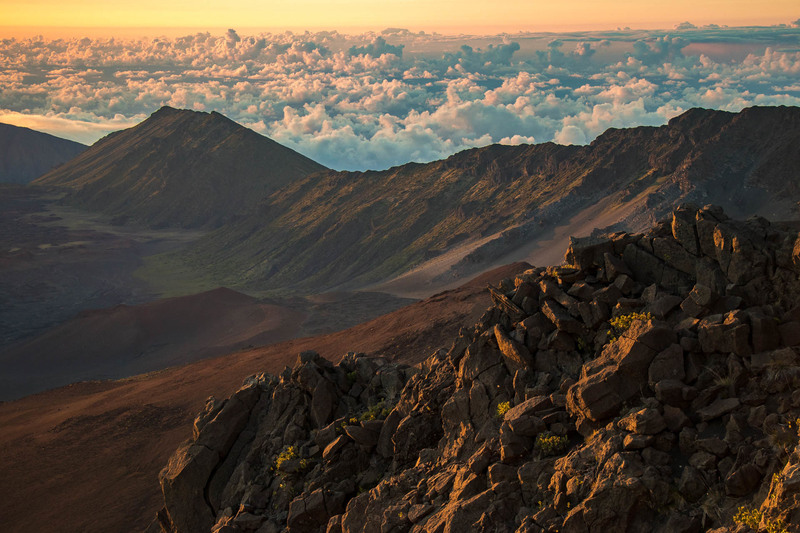 Explore the summit of Haleakala and Maui’s stunning Upcountry area. 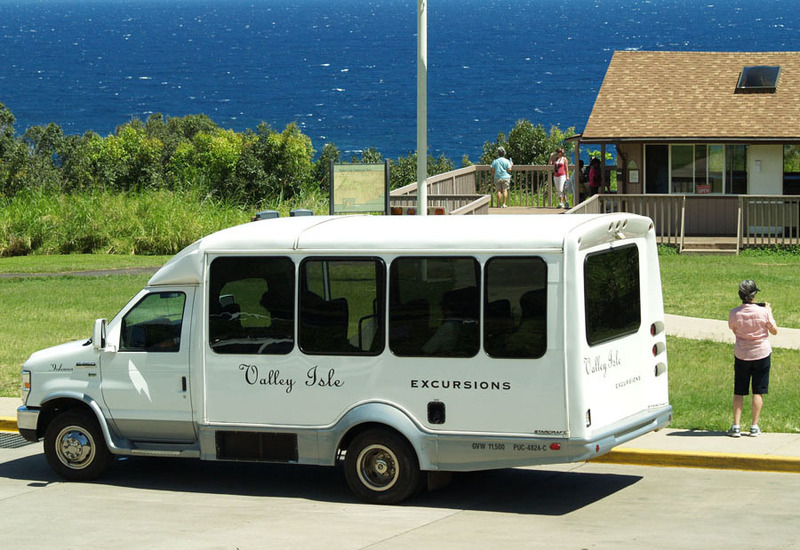 Book a day tour to see Iao Valley too! Explore Haleakala’s best kept secrets and less traveled trails with a guided hiking tour. 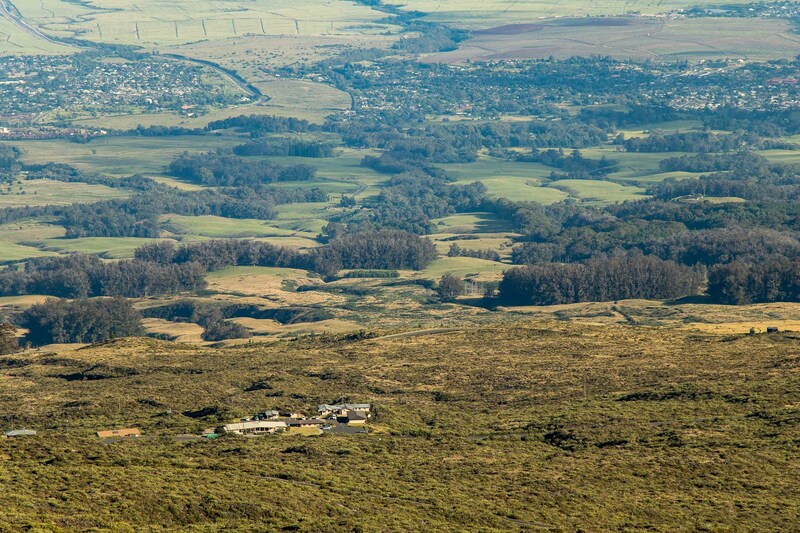 The closest you will be able to get to horseback tours into the park is a Maui Upcountry Ranch experience. Hawaiian culture and navigation techniques come alive under brilliant nighttime skies. Your party can have a more intimate experience by renting the entire tour vehicle. Your group can enjoy the day together with a private local guide. Note that biking tours do not occur within Haleakala National Park. Per National Park rules, biking tours begin just outside the park at around the 6900’ level, well below the summit district. Biking tours occur throughout the day and, due to their dangerous nature, should only be attempted by those who are comfortable biking. The weather on a mountain can change quickly and without warning. At just over 10,023 feet above sea level, the peak is also much cooler than the beaches at sea level. As a general rule of thumb, the temperature drops 3 degrees for every 1,000’ of elevation gained. On average, the mountaintop is therefore about 30 degrees cooler than the temperature at the beach. Be prepared for this change and remember to pack layers if you’re headed up – even if it’s a balmy 75 degrees along the coast. During the winter months, there is even the possibility of snow! Always be sure to check the weather conditions before heading to the top, and pack coats, windbreakers, closed toe shoes, long pants, blankets, and warm clothes. Sunrise is a special time on the mountain as the sun’s rays demonstrates the origins of the story of Maui, the demi-god, who held the beams of light until the sun agreed to move slower across the sky. The best place to watch the event anywhere in the Hawaiian islands is up at the top of the mountain in the park. It has become a very popular activity so people will need to take their planning seriously or choose a tour that handles everything for you. Most people don’t expect how cold it is or how fierce the weather can be (even for a beautiful sunrise) and never packed appropriate clothes. 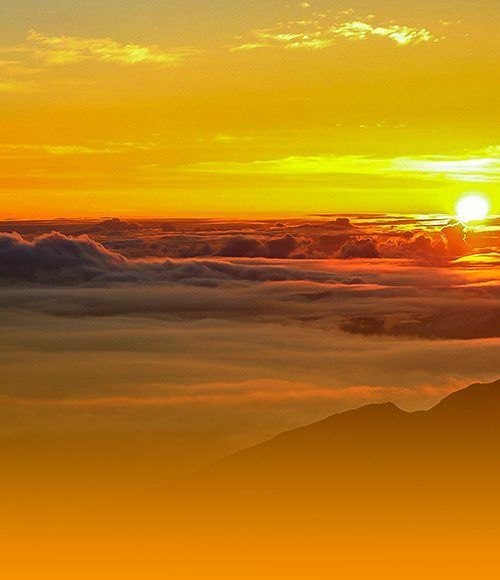 A Haleakala sunrise tour operator will provide that for you. The other issue visitors didn’t think about was parking. 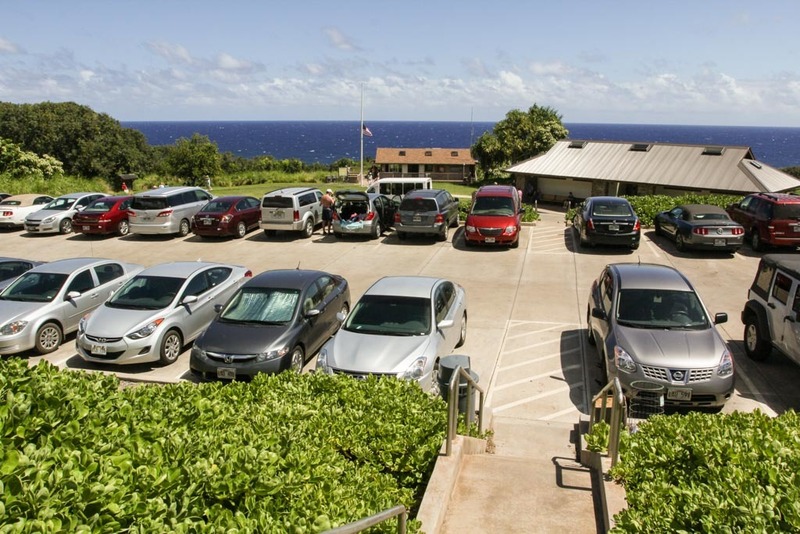 There is so much interest that the park service had to create a reservation system (currently at $1.50 / car in addition to the $25 / car entrance fee) to help limit the numbers entering the park between 3 and 7am. The damage from visitors parking wherever they could caused environmental damage that is not easily repaired in this ecosystem. Safety was also a major concern that was addressed with the system. You can get a reservation online months in advance and additional spots are released the day prior for last minute adventurers. Preparing for a sunrise experience takes a little bit of planning. The stated times on your phones are not quite correct as they don’t take into account the height at the top. On average it is almost 14 minutes ahead of the phone time. Coming from most hotels you need to plan to leave about 2 hours to get to a great spot in the park to watch the event with brief stops along the way. You will need to look at hitting the road between 2:30 and 3:30am depending on the time of year as you will want to get to a spot in good time to enjoy the entire show which starts about 30-40 minutes before the sun rises. Everyone uses the Bishop Museum’s time table for celestial events like sunrise and sunset. They are based in Honolulu. The difference matters when you are trying to catch an event that won’t wait for you. Remember that sunrise at Haleakala Summit Visitor Center will happen 14 minutes sooner than what is stated and sunset will occur 1 earlier. 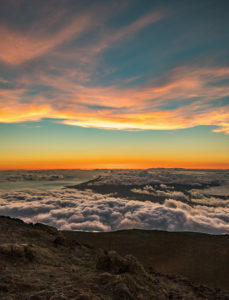 Though the summit is Maui’s most popular spot to watch the sunrise, it is also a spectacular place to watch the sunset. 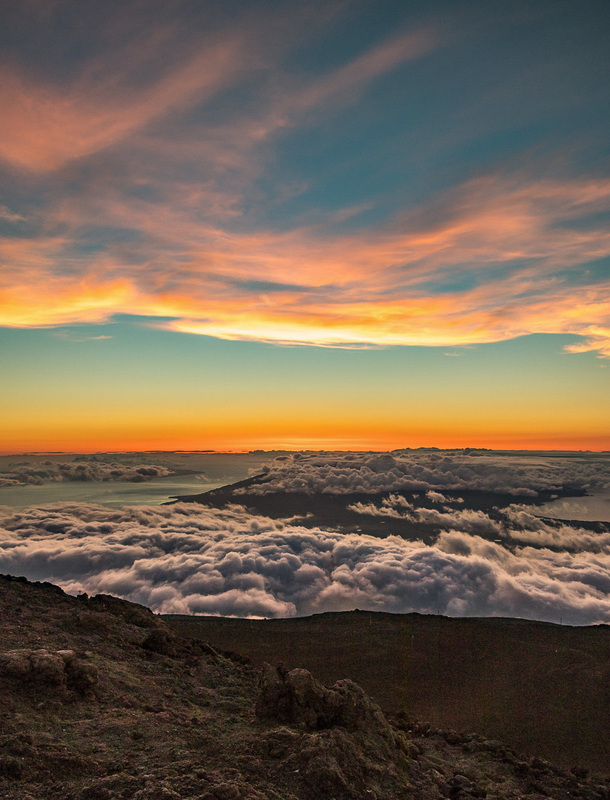 As Maui locals will tell you, sunset on Haleakala is one of the island’s best kept “secrets”. Everyone knows the beach is great, not everyone understands how exciting the experience is up there. Not only is the summit less crowded during sunset compared to sunrise, but the colors are just as incredible. 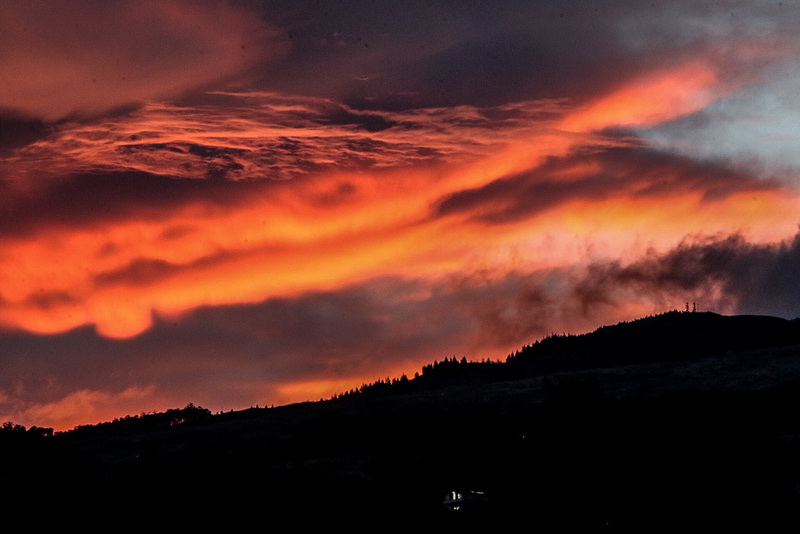 In fact, during sunset the sun shines from behind the crater overlook. In contrast, during sunrise the sun shines directly into the crater (and your eyes! ), creating heavy shadows. Another benefit to sunset is that can take your time heading to the summit. There’s no rush to roll out of bed and into your car at 2:30am in the morning, and you have time to check on the weather conditions to ensure that you’ll enjoy a clear view. 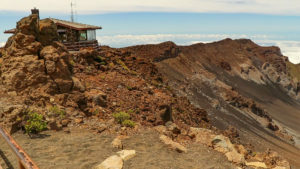 Reservations are required for the 2 most popular attractions in Haleakala National Park on Maui – sunrise and wilderness cabins. The park maintains 3 historic wilderness cabins on the valley floor: Holua, Kapalaoa, and Paliku. Each of the cabins are only accessible by trail and require a hike across rugged terrain among the many cinder cones. The cabins are booked months in advance and are very basic with a water pump, firewood, and an outhouse. Reservations can be made up to 180 days in advance using Reserve America’s website at www.recreation.gov. 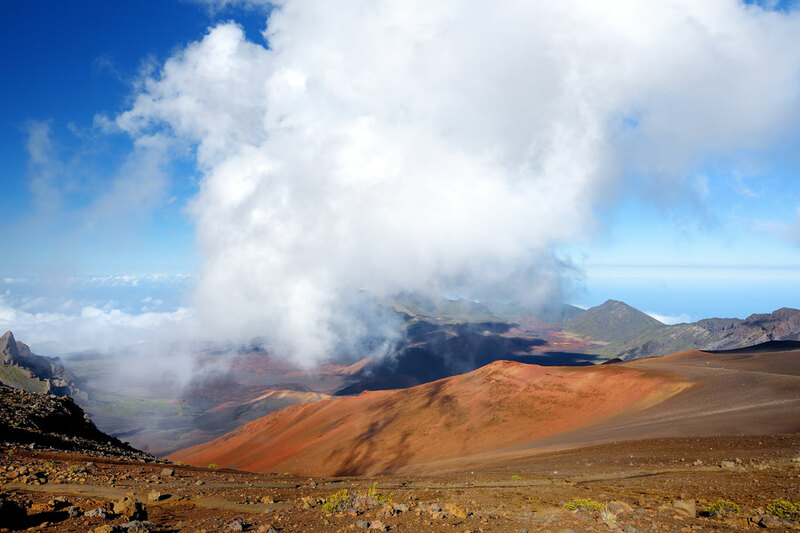 If you are willing to provide a little labor in return, you can join one of the service trips sponsored by Friends of Haleakala National Park. In addition to cabins, there also has a number of camping options. Camping spots at Kipahulu and Hosmer Grove are based on a first come-first-served basis with a maximum 3 night limit. You can also obtain wilderness camping permits for Holua and Paliku areas of the park at the park headquarters. To help control crowd sizes and ensure visitor safety during sunrise, the National Park instituted a sunrise reservation system in early 2017. Reservations are required to enter the Summit District between the hours of 3-7am. You can reserve your sunrise parking spot at Recreation.gov for only $1.50. Visitors can reserve a space up to 60 days in advance. On average, reservations fill up a few weeks in advance. 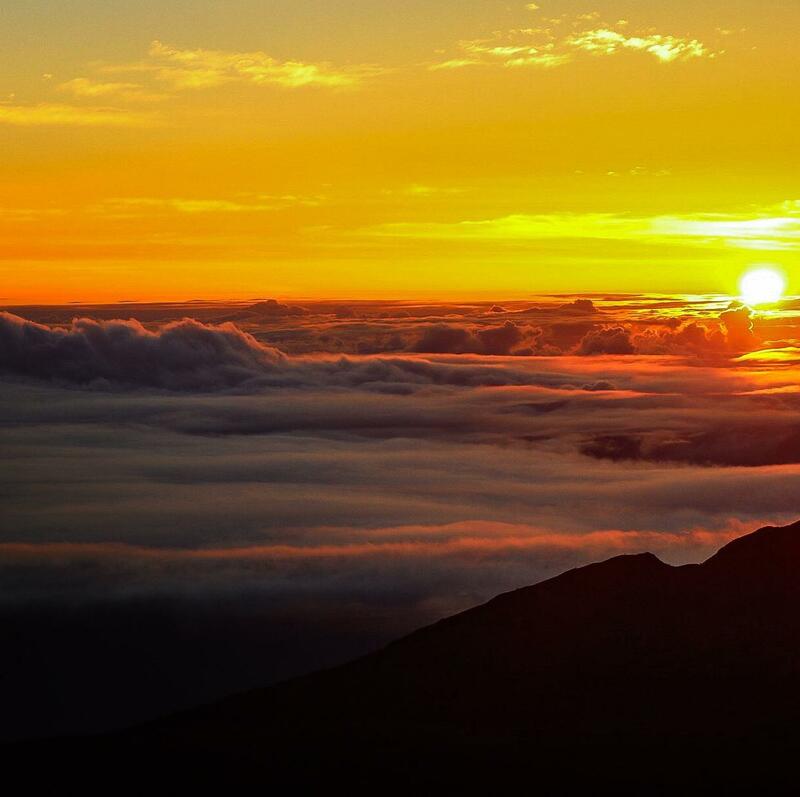 If you’re planning to travel to the summit during your Maui vacation, be sure to make your sunrise reservation at least 2-3 weeks before your trip. 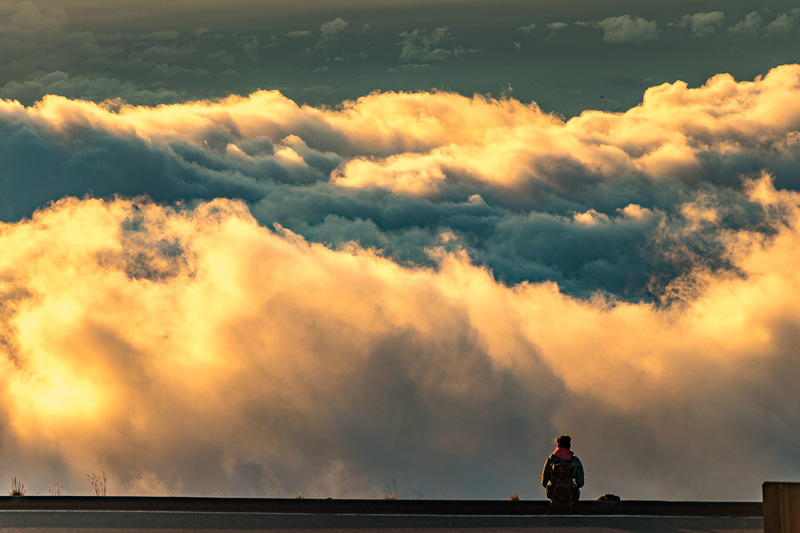 Though you can explore the summit on your own, a guided tour of Haleakala is the best option for most travelers. 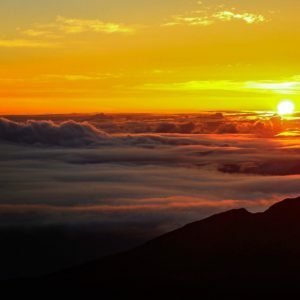 Choosing a tour for sunrise lets you relax and enjoy the incredible experience of Haleakala National Park. Guided tours include hotel pickups, expert narration and, for sunrise tours, a full breakfast.